Econo Mode: This function enables efficient operation by limiting the maximum power consumption. It is useful when using the air-conditioner and other electrical devices simultaneously on a shared electrical circuit. 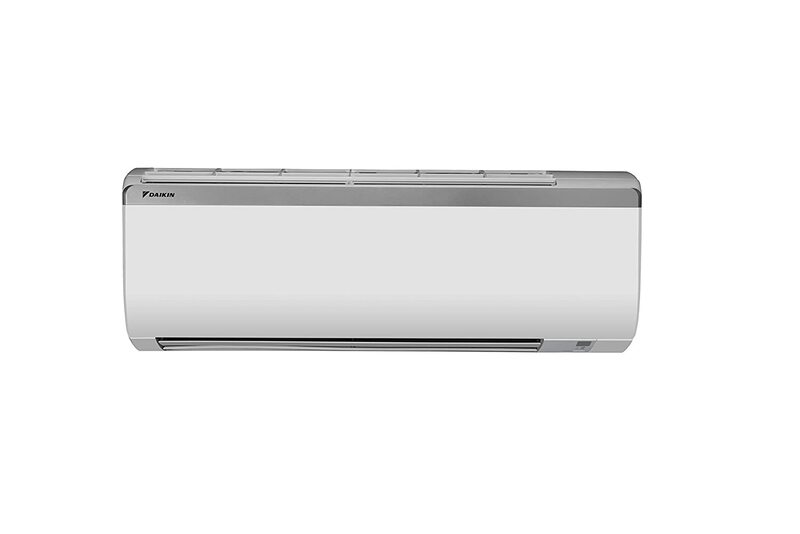 Coanda Airflow: Coanda airflow operation gives you the best air-conditioning experience. The powerful air draft does not fall on your head directly, but it is steered upward letting air circulate into the corners of the room creating a comfortable ambience. Power Chill Operation: During extreme heat conditions when rooms require quick cooling, power chill ensures room temperature drops rapidly for immediate comfort. Good Sleep Off Timer: You can prevent excessive cooling of the room during sleep by setting a temperature shift value. The air conditioner automatically stops after the preset time has elapsed, thereby conserving electricity. Self Diagnosis: The machine auto detects the error and shows the related code on the remote screen (After pressing Key mentioned in manual). Now you can easily self diagnose the error and report it to your Daikin authorised service centre for a quick resolution. R32-Befriending the environment: R32 (Green Refrigerant) has zero Ozone Depletion Potential (ODP) and Modified Global Warming Potential (GWP) of 472, compared to R410A’s Modified GWP of 2,027. Also R32 is a single component refrigerant, which makes it easy to recycle. It is because of these reasons that R32 offers the lowest total emissions and best overall life cycle climate performance.